Have I Saved Enough to Retire? | Quest Capital & Risk Management, Inc.
How can you determine if you are financially ready to retire? 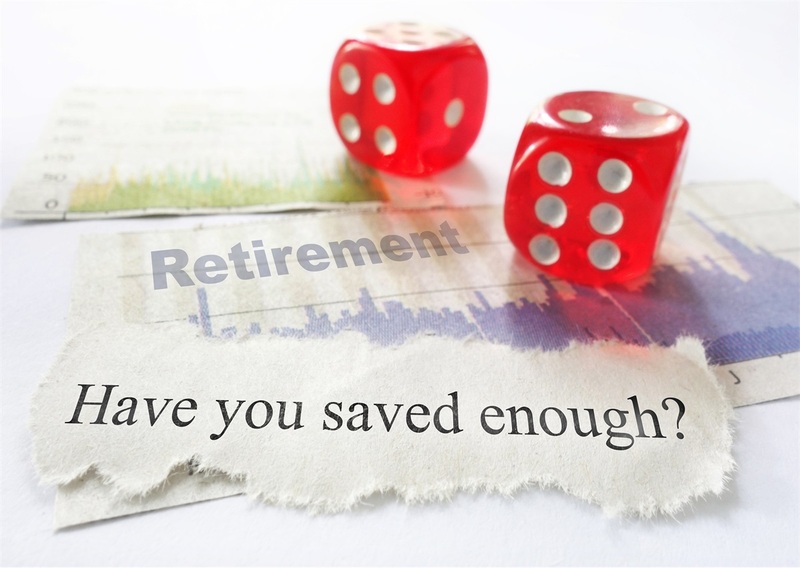 Our experience tells us that pre-retirees, regardless of whether they have saved half a million dollars or many times that, have common concerns: "Do I have enough to maintain my lifestyle? ", " How much will I need?" and "How much can I spend each year and not have to worry about running out of money?" We are all aware of the importance of saving for retirement, but far fewer of us know the fundamentals of how to spend our savings in retirement. Deciding when to retire requires a series of informed decisions. Not having the context around how to properly make these decisions can lead to overspending and running out of money, or on the flipside, the risk of under-living. None of these options seem like a desirable outcome; therefore, we believe investing some time, energy and resources towards the development of a retirement income plan could be one of the most important things a person can do for themselves and their families! First things first: we have found that the best place to start planning for retirement income is to get a good solid handle on what you will need to spend each month in order to maintain the lifestyle you are currently living. Seems simple, right? However, we have found that most people have never sat down and completed a comprehensive retirement budget; therefore, we have developed budget sheets (click to request an email copy of our budget sheets) that will guide the user through all of their monthly and annual expenses. These worksheets are comprehensive and if completed with attention, nothing should be overlooked. This is not a place where you want surprises! Let’s assume you have determined you will need $100,000 annually to live and maintain your current lifestyle. How will you generate this income? Well, part will come from Social Security. Claiming Social Security is an important decision and should never be made hastily; it should be made in conjunction with an overall income plan. For illustrative purposes, however, let’s assume you and your spouse will receive a combined $50,000 per year from Social Security. Where does the remaining $50,000 come from? If you do not have other sources of income, this gap will need to be filled by your savings. Here is what a lot of people overlook: Social Security is inflation adjusted, meaning it has a cost of living adjustment. Your income that will be generated from your investments will need to adjust for inflation as well. The reality is that for a long-term retirement, compounding inflation can double or almost even triple spending needs in 30 years! What starts out as a $50,000 need can grow to approximately a $125,000 by year 30 at an average inflation rate of 3%! So here is our first rule of thumb. It will help you determine how much you need to accumulate to be ready to retire. Take the income amount you need to generate from your investments and divide this number by 4.15%. $50,000/4.15% = $1,204,819.27. To generate $50,000 a year for upwards of 30 years and have the ability to grow this amount for inflation, you will need approximately $1.2 million in investable assets before you are financially ready to retire. Investment Principles: You are in a comprehensively diversified portfolio that is re-balanced at least annually. Risk Management: You have what we call Segmented Buckets of Money in place. We will touch on all three of these bullet points in subsequent blog posts! To summarize, begin with completing a retirement budget and get a good handle on what income you will need to maintain your lifestyle. Pull your Social Security Statements (SSA.gov) and determine what is feasible from Social Security. The additional amount needed will be the income you will generate from your investments. Divide your income need by 4.15% to estimate how much savings you will need to accumulate! If you would like to receive a copy of our comprehensive budget sheets, or if you would like to schedule a call with us to discuss developing a customized Retirement Income & Investment Strategy, please contact us. Examples provided herein are hypothetical in nature and are not meant to portray any specific investment. All investing involves risk, including the possible loss of principal. There is no assurance that any investment strategy will be successful.